Cabinet approves radio waves trading. In a significant decision, the Cabinet on Wednesday cleared the spectrum trading guidelines enabling the telecom operators to sell radio waves to other service providers. New Delhi: In a significant decision, the Cabinet on Wednesday cleared the spectrum trading guidelines enabling the telecom operators to sell radio waves to other service providers. This would help the telecom companies facing trouble of spectrum shortage. The companies are not required to take approval from the government on the transaction. 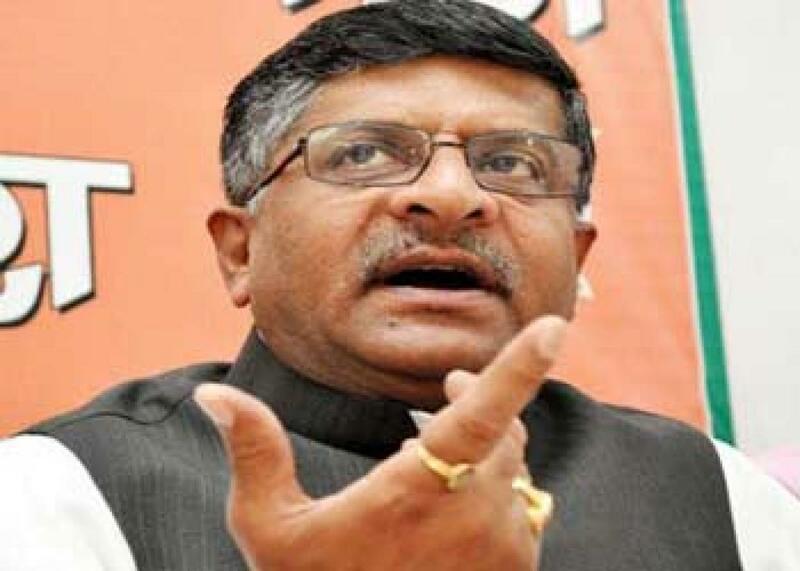 Speaking after the cabinet meet Telecom Minister Ravi Shankar Prasad said, "Cabinet has approved spectrum trading today. Telecom sector has been demanding it for optimum utilisation of spectrum." It means, till now the ownership right vests with the government of India and it has only given right to use to the operators. For now on, the operator who has addition radio waves can sell. Industry had been waiting for spectrum trading guidelines before they proceed with their consolidation plans. Deloitte Haskins & Sells LLP Partner Hemant Joshi said that spectrum trading would provide bigger players, who have congested networks, a chance to buy new spectrum and improve the quality of service for customers. "Spectrum trading would provide exit opportunity to operators who have not been able to build scale in India and have been facing unprofitable operations by selling off their spectrum," Joshi said. Last month, government approved spectrum sharing guidelines aimed at addressing spectrum shortage in the country and allowing operators to mutually use radio waves to provide services. The government, however, has not heeded to the industry demand of keeping the amount received from trading out of the adjusted gross revenue. As per the rule, revenue from trading will form part of component to calculate licence fee and spectrum usage charges levied annually on telecom firms. For entering into trading agreement, telecom operators will not require prior permission from the government but they will have to inform the authorities 45 days before entering into such pacts, the minister said. The seller and buyer entering into trading agreement will have to give an undertaking that their pact is in compliance to all rules and regulations. "In sample check if it is found that undertaking is wrong then action will be taken including cancellation of trading agreement," Prasad said. The trading is also expected to indicate market rate of radio waves. At present it is determined only through auctions conducted by the government. "Spectrum trading has been permitted in all the bands," Prasad said. He said telecom operators will be able to trade spectrum allocated to them under old licensing regime after liberalising it by paying market determined price.